Every year, without fail, I declare that I will start early on our Christmas card, that I will have them completed and addressed and in the mail the day after Thanksgiving. That has never happened and surely won’t again this year. I love receiving holiday cards from friends and family. When they were younger, as a nightly ritual, my kids would take turns opening the cards throughout the holidays. Since the cards have always been an important tradition in my house, I thought it would be fun to research the tradition of sending holiday cards and where it all began. According to whychristmas.com (where you can see the full article) “The custom of sending Christmas cards was started in the UK in 1843 by Sir Henry Cole. He was a senior civil servant (Government worker) who had helped set-up the new 'Public Record Office' (now called the Post Office), where he was an Assistant Keeper, and wondered how it could be used more by ordinary people. 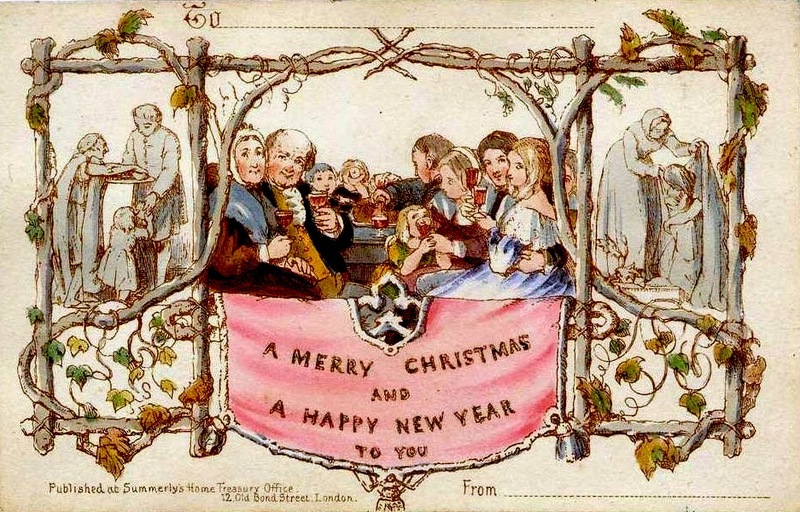 Sir Henry had the idea of Christmas Cards with his friend John Horsley, who was an artist. They designed the first card and sold them for 1 shilling each.” and so the tradition began. 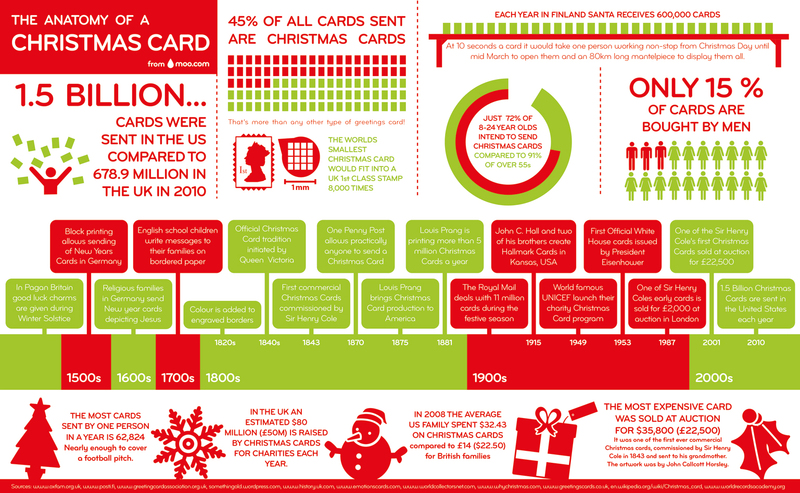 The graphic below illustrates many fun facts about Christmas cards until 2010. In 2016, even in the digital age, 1.6 billion cards were sent. Fast forward to today - the tradition continues. Today, the the possibilities are endless. They range from a simple hand written card to a tri-fold photo extravaganza! I am always amazed at how creative people can be and enjoy each and every greeting. While totally worth it, the process can be daunting. Get the perfect photo. The cards with the little children are always precious. They certainly are precious! Anyone who has tried to wrangle small children into pretty clothes they do not want to wear, all the while staying clean and beautiful and happy will know how precious they really are. Find the perfect card that compliments your photo. Manage the list which is always changing as people move and new friends are added. Stamp and mail the cards - the light at the end of the tunnel. Declaring Victory!!! Do your happy dance and check the task off of your holiday to do list! In an age where “snail mail” is becoming a thing of the past, I hope that the tradition of sending holiday greetings remains in tact. There is something special about opening personal mail these days. It’s nice to have things in your mailbox other than catalogs and bills. Plus it is fun to look at the cards from year to year, to watch families grow and change. The tradition is worth all of the effort! So, I guess I need to get about the business of working on mine.